Kalifornia Love: How was your luck with Missoni @ Target yesterday? How was your luck with Missoni @ Target yesterday? Yesterday was an insane day in TargetLand. 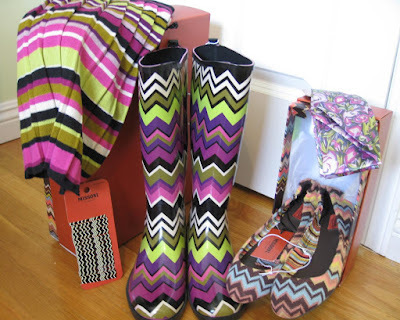 I'd been looking forward to their highly anticipated Missoni collection to hit the stores for months but I didn't even realize just how highly anticipated it would be. I checked the website a few times before 5 a.m. Tuesday morning (when I went to bed) and nothing was up on the site yet. At 9 a.m. when I checked again, the site had crashed. At 10 a.m., I headed to my first Target. At 10:15 a.m., I was informed that practically everything was sold out. I've never seen so many frantic women running down the aisles at Target before. From young twenty-year-olds to middle age housewives, everyone was grabbing whatever Missoni leftovers that they could get their hands on. I spoke to a few Target employees at each of the stores. Everyone pretty much told me the same story. People were lined up outside at 7 a.m. and by 8:15-8:30 a.m., everything was gone. Ladies were piling everything into their carts -without even looking at the prices or sizes. This obviously meant that they were buying just to re-sell. Smh..
All in all, I went to a total of four Target locations. The first was a total miss -I couldn't find a single thing. I found the boots and flats at a second Target (Thank God I can fit kid's sizes), and then I found the rest at the third forth stores. 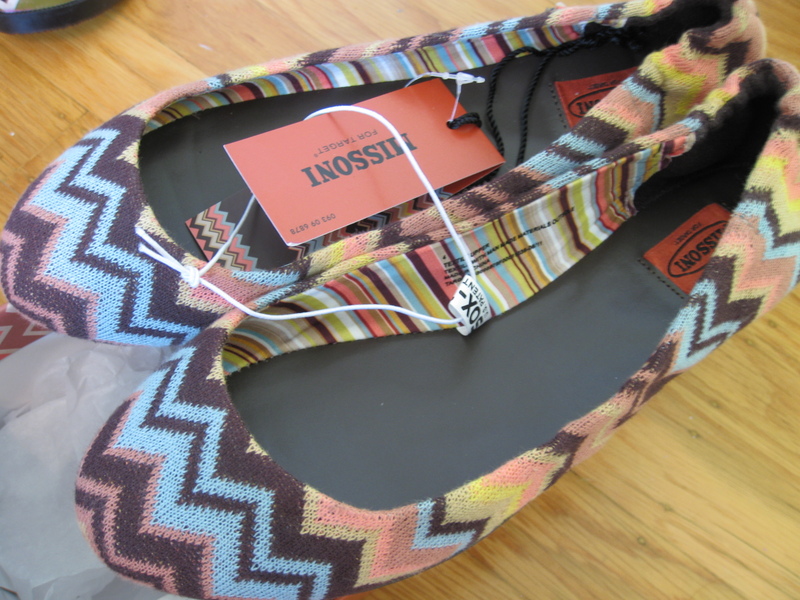 Girls Flats ($22.99)- I got these in a size 3 as well which is a tad small but the size 5 was way too big. Again, I'd love a size 4. I prefer the colors in this flat over the women's version (mostly purple) but I really would've loved to buy both. Oh well, at least I got one. 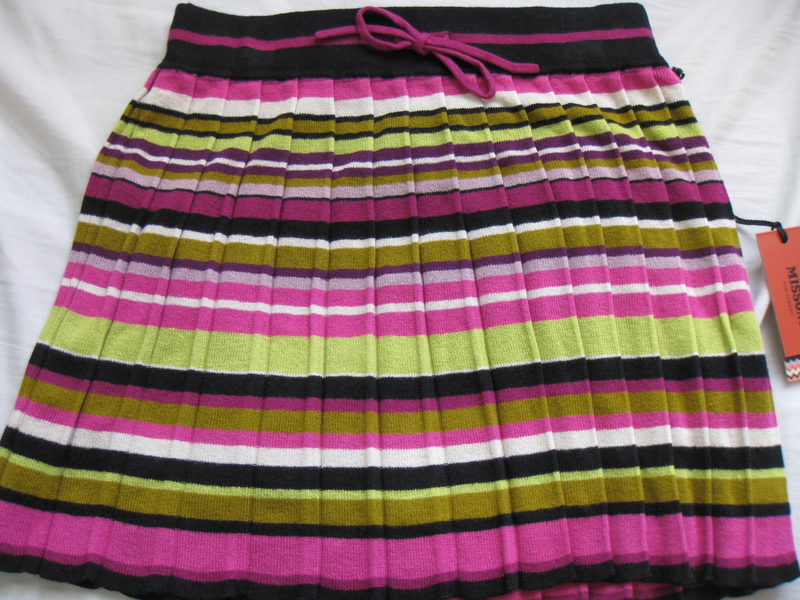 Girls Pleated Sweater Skirt ($24.99)- This was my last pick (size x-large.) I'd say it fits like a women's x-small or small. I'm so happy I tried this on. 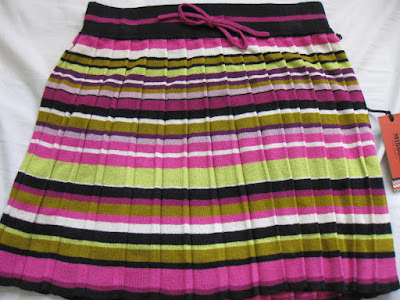 I don't generally wear or buy skirts but I really like the soft pleats and it's not too frilly for my body type. Bobby Pins ($6.99)- I found this laying on a random table (thank goodness for rude customers who leave stuff laying around on the wrong shelves.) 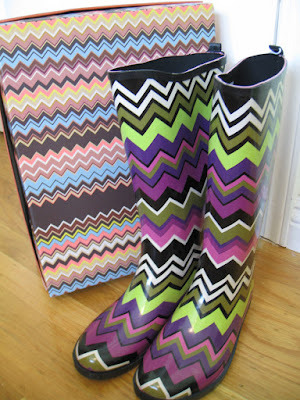 I wasn't going to get them at first but hey, it's Missoni! I thought I'd "splurge." Headbands ($9.99)- The last item I purchased was a set of two headbands. All the sets either had a missing band or broken one so I grabbed two that were in perfect condition. I really wanted the solid blue band (goes well with my hair color) but it was cracked. 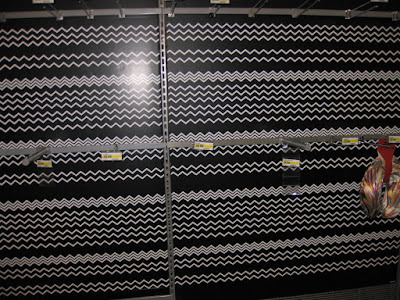 This is what all the Missoni walls and shelves looked like. Lonely, sad, and all alone. 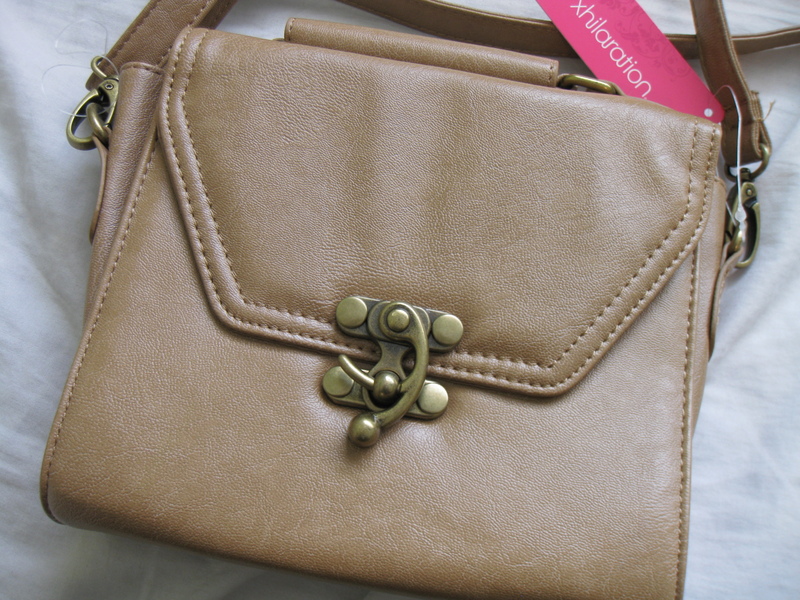 Xhilaration Purse ($3.74)- This purse was randomly placed on one of the racks with no clearance stickers. However, I decided to take my chances since there were no others like it around. Good call because it turned out to be just under 4 bucks! The "leather" is quite soft and I love the clasp and color. This just might be the best buy of the day. 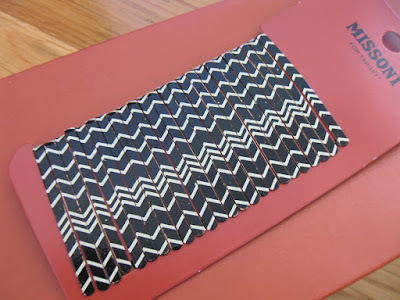 Did anyone else go to Target hoping to score some Missoni goods? What did you get? And what did you want but couldn't get? P.S. Please don't support those eBay sellers trying to get over on us. If they're trying to sell at for hundreds/thousands, you might as well get the "real thing" anyways. 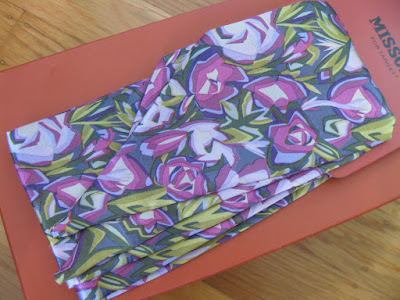 I think in terms of buying on eBay (for these Missoni items) I'd only get it if 1) I desperately love and need it and 2) It's only $5 above the retail price. It's not a matter of money -I feel like it's definitely a principal thing. It's not right that people are buying out the store only to resell it and make loads of money. I resell things but only the one I don't like, I don't buy it just to resell it's ridiculous and prevent the people who want the item to get it..
Glad you found some things at least! I totally agree. I think it's horrible that people just buy everything with the intent to resell but I've done the same thing -sell things I don't want. I don't think I did too bad but I'd like each of those shoes in a size up! I don't and Won't shop from eBay unless it's vintage.. Those people who buy to sell are totally messed up.. I agree I think it's so selfish that people would have the nerve to try & make a profit on things that so many people just want to try & enjoy for themselves at a affordable price. I'm SO jealous you got the flats. They were in my basket but by the time I checked out online they were sold out. I was able to order the the bath robe & silk shorts. Can't wait to get them! Enjoy your goodies. i completely agree! it was terrible, but i also think shame on target, my target didnt leave anything empty which i'd have preferred that, instead! 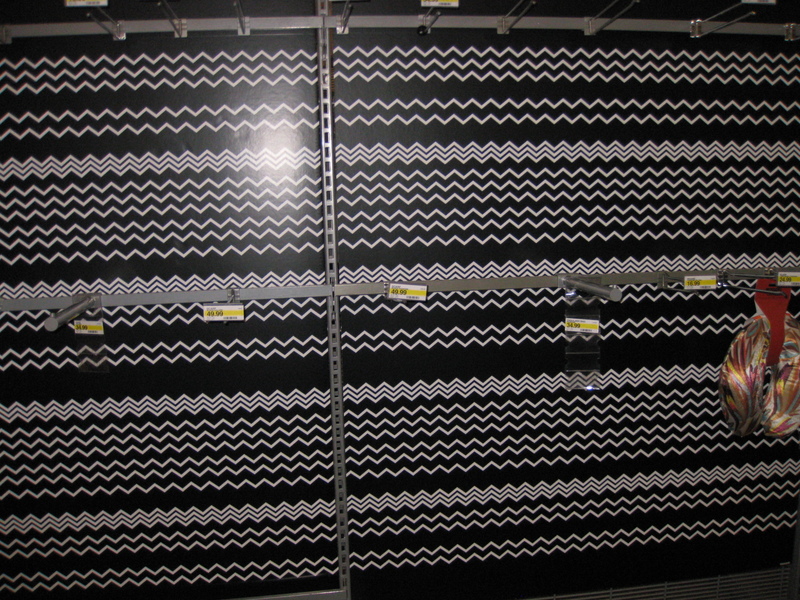 they filled all the empty space with mossimo, so when you went in it seemed like stuff was avail. 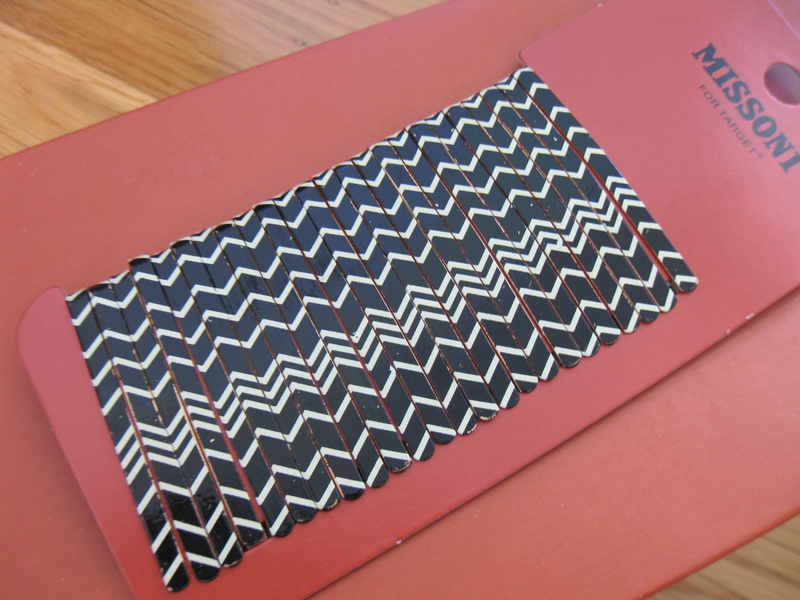 but then it want, and oddly enough the mossimo tags are almost exactly the same color as the missoni tags so you ALMOST don't even notice. I read in an article that the bike they sold is listed on ebay for like $2,500.00 ITS INSANE. I read on Target's twitter page tonight that some of the items will be restocked at some of the stores (not all locations) from 9/15-9/17. Hope this helps someone who missed out.